In 2011, a group of enthusiastic mosaic-students from the Arts-Academy Wilrijk, Belgium (who works together with the Scuola Mosaicisti del Friuli, Spilimbergo) organized a successful arts exhibition at the castle during 14 days. Two hundreds participants participated on the exhibition and attracted almost 1000 visitors. 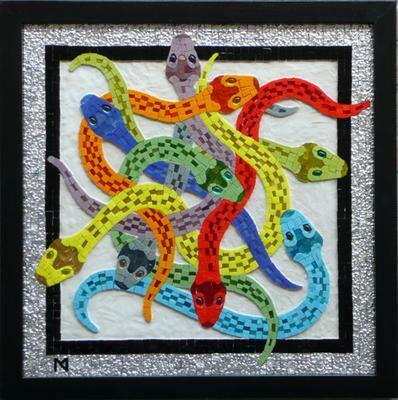 This group, who call themselves as “The Renesseurs “ will take the challenge to organize the second edition of the exhibition exclusively about mosaics from marble-roman-like to modern mixed-media, introducing also La Maison Picassiette. The event will be held on May 3 to 5 and 9 to 12, 2013. 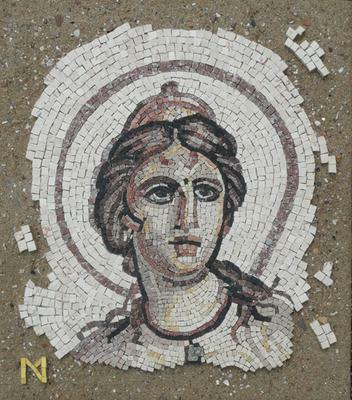 Their main obsession is to show the art of mosaics as broad as possible with all its aspects and to bring visitors in contact with mosaics in such an interactive way. Two workshops will be organized during the exhibition including a workshop for children on Saturday May 4. The children's works arts will be displayed in the exhibition as well. A three days workshop for adult will be held on May 9, 10 and 11 with a special guest-teacher from Italy - Marco Mezzanotte. He, a former teacher of Spilimbergo, will teach mosaics in traditional ways, with hammer and hardie, for both beginning and more experienced mosaic-artists. For more information about this unique exhibition, the workshops and the arts-academy Wilrijk, please visit our website www.mallemozaiek.com (in Dutch). Join in and write your own page! It's easy to do. How? Simply click here to return to The Mosaic House - La Maison Picassiette.